Read this blog to find out answers to the most common questions asked by investors on mutual funds. When it comes to investing in mutual funds, the process is found to be riddled with multiple perceptions, myths, and opinions. With the reality often buried and the half-truths parading among the retail investors, it becomes even difficult to make the ideal investment-related decisions. So, what should be done? The path is simple here! Just follow the route of knowledge and awareness, so that you don’t deviate from your investment goals. Here, in this blog, we are going to discuss nine basic questions that every investor should seek answers to before making a move of investing in mutual funds. Let’s get started! 1. Mutual Funds or Equity Stocks - Which One Is Better? Both are market-linked instruments; however the problem with direct equity is that a small section of people can make an investment in them in the right manner. These are the ones who are adept with the rules of how the market works, and they don’t require much suggestions or tips. They research on their own and make investments. But there are times when even the prudent investors feel that they are doing the right thing, and they end up losing big time when the markets make a turn. 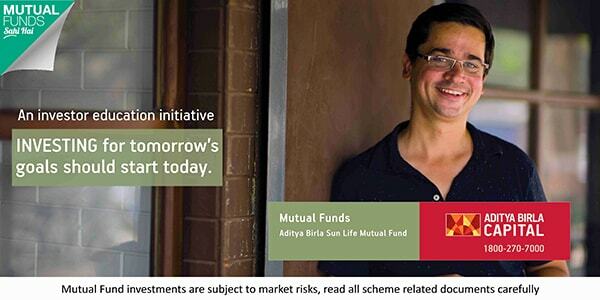 This is where mutual funds take the lead. They are managed by experienced fund managers and the investment made is also diversified which helps you to earn good returns without exposing to higher risk. Direct equity investment demands too much time and attention, and even then at times, it’s also addictive. If not done in a controlled manner, it can ruin your portfolio and wipe out all your savings in just one go. 2. Is Investing in Mutual Funds Risky? Well, it’s impossible to compare different categories of mutual funds across the board and say that they are risky. Different mutual funds differ in their financial objectives and also invest in different kinds of securities that reflect the ultimate aim of the scheme. Thus, the risk varies substantially depending on the securities that the fund is investing in. For example, a fund which looks forward to creating highest returns on capital may invest in more speculative stocks than the one which invests with an aim to make maximum income from dividends. The risk in the first one would be much higher than in the second. Generally speaking, it can be assumed that the higher the return on capital, the higher would be the risk involved. Furthermore, mutual funds even remove much of the risk of investment with professional management of schemes from industry experts who hold years of experience in portfolio management. As an investor, you should understand that although keeping money in a safe is one right way to prevent it from losing, there is always the risk of inflation that will, over time, erode the value of that saving. 3. What Is the Minimum Amount Required to Invest in Mutual Funds? The minimum investment amount varies from one fund to another. Several mutual fund schemes have a minimum investment limit of Rs 100, whereas there are others with the investment of Rs 500, 1000, and even 5000. 4. Is a Scheme with Less NAV Better? Considering NAV or Net Asset Value as the deciding factor while investing in mutual funds is never a good approach, and thus no expert will ever recommend that. It is merely a myth that it’s good to invest in mutual fund schemes which have low NAV with an aim to accumulate more number of units, and thus it is the path to generate more returns. It should be understood that high or low NAV has nothing to do with the performance of any particular fund in the future as the net asset value keeps on changing with time, the performance of the scheme usually depends on the market and fund managers’ takes. One good thing about funds with higher NAV is that those funds have some past track report to show. This way, somewhere the investor know how the fund can perform during different market moves. Let’s understand the calculation through an example. 5. Is There Any Tax Benefit of Investing in Mutual Funds? Long-term capital gains tax on the sale of Equity shares/units of Equity oriented Fund if more than Rs 1 lakh at @ 10% without the benefit of indexation. Long-term capital gains on debt fund are taxed at the rate of 20% after indexation. You can also invest in Equity Linked Tax Saving Schemes of the mutual fund to take benefit of tax saving and wealth creation under section 80 C of the Income Tax Act, 1991. ELSS schemes have a lock-in period of 3 years & as the name suggest it invest in equity shares. 6. Is it Okay to Wait for the Market to Correct When Investing in Mutual Funds? Well, there is no such thing as timing the market, especially when the investment avenue is mutual funds. If we go with the statistics, there is far more money which has been lost by investors in preparing for corrections or anticipating them than it has been lost in the actual correction period. One must understand that timing the market is not even possible by experts who have been in the industry for long. For all such cases, investment in long-term equity funds is highly recommended as it has consistently outperformed all the other asset classes and works well against the rising inflation. They may be volatile in the short-term period, but they have the potential to create exceptional returns and stable wealth in the long-term horizon. 7. How Can One Liquidate Mutual Funds? Most of the mutual funds have their shares or units valued on a daily basis. This states that you may purchase any number of shares or units on any business day, and in most of the cases, may redeem or sell those units or shares back to the fund on any particular business day. This concludes that it is effortless to liquidate mutual funds. 8. What Is an Expense Ratio? Expense Ratio is referred to as the fee that an investor pay in lieu of the management done and other costs involved in the maintenance of the particular scheme. This comes out of the invested value of the investor. The expense ratio or management fee can range anywhere in between 1% to 3%. Understanding this is very important when the investment is made in mutual funds. Let’s assume that your mutual fund scheme earns a return of 15%, and it has an expense ratio of 2.5%. This way, you will only receive 12.5% as return, and the remaining will be reduced as the fee for fund management. This leads us to a conclusion that if there are two funds which have similar composition and past returns, then it is better to invest in the one with a lower expense ratio. 9. What Are Close Ended and Open-Ended Funds? It is essential to check in advance that the fund you are investing in is open-ended or close-ended. On one side where the open-ended fund provides more flexibility in transactions and can be sold anytime, the close-ended schemes have a lock-in period during which one cannot sell the scheme or redeem from the investment. Therefore, whenever the investor feels that the stock market has run up to unsustainable levels and the fund has given more than expected returns at any point, he or she can quickly sell it, book the profits made, and exit the market before it falls in the case of open-ended schemes. There were just a handful of the questions that we get from our investors. In case you have any other doubt, please ask us the same by mentioning it in this form section below. To seek the best recommendation on mutual funds, stay connected with us at MySIPonline.